Written by Muslim Girl Staff, Meriam Meraay. 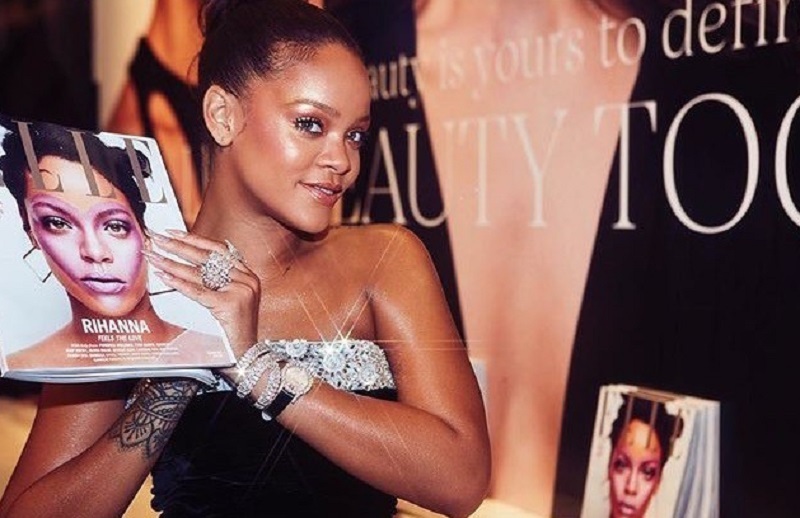 If you haven’t heard about Rihanna’s new makeup line “Fenty Beauty” then let me catch you up real quick. This collection has changed the makeup game with a wide range of 40 foundation shades and diverse models, including our favorite: Halima Aden. Bless Rihanna for creating such an inclusive line and giving people of all walks of life makeup that is made with them in mind. You can check out the Shades For All Video for more details. As always Rihanna slays makeup, and Muslim girls everywhere are serving looks with her products! If you’re interested, you can shop here:.